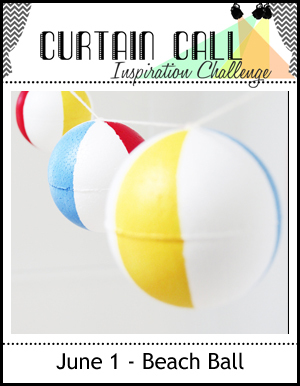 Thank you so much for joining us for the Curtain Call Inspiration Challenge - Beach Ball! The gallery was absolutely full of summer fun! For each challenge, we select the LEAD who is invited to be a guest designer in an upcoming challenge. Show Stoppers are other projects that have caught the design team's eye. Congrats, Tammy! We invite you to be a Guest Designer in an upcoming challenge. Please email Stacey at staceylynncrafts@gmail.com for the details! "LOVE Tammy's summery scene. Gorgeous design...the penguin and beach ball just make me happy!" "Oh my goodness! Tammy's beach ball scene is irresistible!" " The scene Tammy created just makes me smile! So cute!" "Antonia's more muted scene with the cotton candy and the shaker full of beautiful sparkles fits my perfect beach scene! And I love the detail on her circular shaker frame." 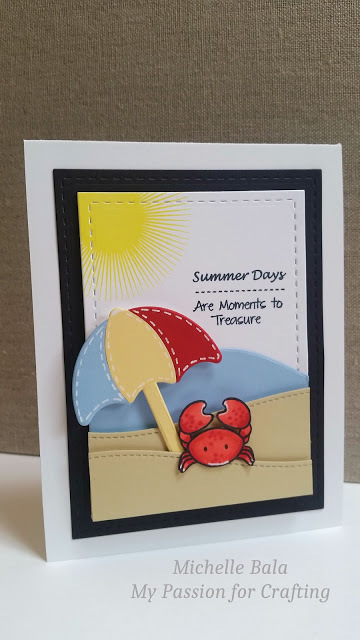 "I adore the beach scene Michelle created...such a cute crab and the umbrella is perfect." Be sure to check back tomorrow for another SUMMER challenge! Beautiful creations. Congrats to all. Holy beaches! What a thrill to see! Thank you so much... sending an email to Stacey now! Congrats to Tammy and Antonia!!! Fabulous cards! Thanks for choosing mine! Beautiful designs!!! Congrats to Tammy, Antonia and Michelle!! Great job!! !